In this time of darkness, it is important to always be moving towards the light. 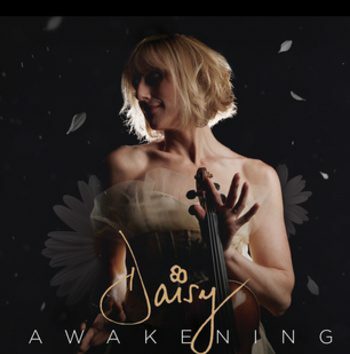 I’m very happy to share with you this week’s Video Clip, the uplifting and inspirational “Country Hope,” from violinist Daisy Jopling, who is joined here by a chorus of contributing female vocalists. Blending soft rock, modern classical, and lite country genres, “Country Hope” is both soothing and anthemic simultaneously; harnessing the momentum of the recent Women’s marches, remdinding us lyrically that “We Have It All,” and the power to shape our reality is within us. As a side note, if you live in an area that got pummeled by last week’s blizzard, you will surely also appreciate the conjuring of springtime and creative rebirth evoked by this gorgeous video, which is shot entirely outdoors. For those in the NYC area, Jopling will perform music from her just-release album, The Awakening (her first album of original compositions), at Manhattan’s Cutting Room on Friday, February 18th, 2017 with a 7:30 PM set time. In concert, Jopling often switches between a 1778 Antonio Gragnani violin and her Yamaha electric violin, which sounds exciting! I can remember seeing violinist Lili Haydn open for Page and Plant at Madison Square Garden many years ago now, and she blew my mind, so this show should be pretty cool. The Awakening is now available on the Fleur De Son Classics label, as the first crossover signing on this classical music label’s roster. Enjoy!